I read this article and found it very interesting, thought it might be something for you. The article is called Down The Drain: India’s Costly (And Losing) Irrigation Battle and is located at https://archive.indiaspend.com/sectors/down-the-drain-indias-costly-and-losing-irrigation-battle. The central government has spent nearly Rs 200,000 crore from the First Five-Year Plan to create an irrigation potential of around 109 million hectare. 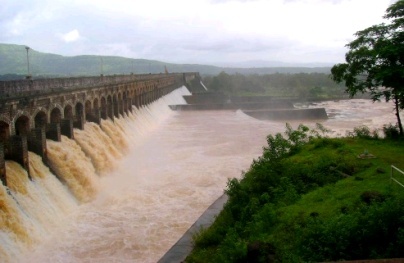 IndiaSpend’s Prachi Salve finds out in this detailed report how India’s irrigation efforts have lagged considerably, affecting both the country’s ability to counter poor monsoons as well as improving agricultural productivity. States like Andhra Pradesh, Maharashtra, Karnataka and Madhya Pradesh (MP) are some of the biggest offenders in irrigation spending. For example, Andhra Pradesh has completed only 17 projects out of the allotted 105 projects. Similarly, Karnataka has completed only 33 projects out of 305 projects while both Maharashtra and MP have completed 94 and 90 out of 186 and 242 projects, respectively. Irrigation has played a major role in agriculture in India. The gross irrigated area, as a per cent of gross cropped area, has increased from 34 per cent in 1990-91 to 45.3 per cent in 2008-09. Nearly 80% of public investments have been diverted to irrigation. India currently has an overall irrigation potential of 140 million hectares out of which about 109 million hectares have been created and around 80 Mha utilised. The table below shows the total expenditure by the Indian government on irrigation and flood control. * CAD: Command area development includes irrigation programmes. It can be seen from the table that the percentage of spending on irrigation with respect to overall expenditure has gone down from 22.54% in 1951-56 to 6.19% in 2002-07. However, the expenditure on irrigation projects has increased from Rs 376.2 crore in the First Plan to Rs 83,647 crore in the Tenth Plan. Since there is high variability of rainfall in India, there is an acute need to conserve surface water. According to the Planning Commission, a total of about 225 billion cubic meters (BCM) of surface storage capacity has been created till now. The per capita storage capacity of India is 190 cubic meters, which is very less compared to countries like USA, Australia, Brazil & China, which is around 5,961, 4,717, 3,388 and 2,486 cubic meters, respectively. The demand gap could be 250 BCM by 2050, and the burden on surface irrigation will be 150 BCM even with groundwater provision. The Accelerated Irrigation Benefit Programme (AIBP) was launched in 1996-97, and has increased area under irrigated cultivation to 5.3 Mha in the Xth Plan from 4.10 Mha during the IXth Plan. Nearly 287 major/ medium irrigation projects have been included under AIBP out of which 134 projects have been completed and central assistance amounting to Rs 48,747.81 crore has been provided to the states so far since the inception of the programme. The state governments have reported 557 projects, which will spill over from the XIth Plan. Delays in construction of railway/highway crossing, land acquisition, improper synchronization of project components and delayed tendering and contract management lead to projects not getting completed on time. This further leads to time and cost overruns. Some of the on-going projects have been interchanged among the classifieds heads of major, medium and ERM projects. So, the total number of spill over projects in the XIIth Plan is 337 including 154 major, 148 medium and 35 ERM projects. It also needs to be noted that nearly 187 (i.e., 74 major, 98 medium and 15 ERM) out of the 337 projects are unapproved due to the failure of state governments to get clearances and the lack of central assistance for implementation. A study by the Planning Commission on cost overruns found that for a representative 12 projects, there was an escalation of 138% over the original cost. There was cost escalation of the order of 1,000% for 24 out of the 151 major projects taken up earlier than 1980. While the average escalation is around 200% for major projects starting from 1985, there are 24 medium projects with a cost escalation of 500% or more. It is seen from the table that the gap between the Irrigation Potential Created (IPC) and the Irrigation Potential Utilised (IPU) is steadily increasing. For the First Plan, the potential created and utilised was almost equal: 12.2 Mha. By the time of the IXth Plan, the gap has increased: while potential created was 37.05 million hectare, potential utilised was only 31 million hectare. It is clear that capital investment is not translating to proper utilisation of potential. Diversion of irrigable land for other purposes. Major reforms are needed in irrigation projects, mainly around capacity building and user engagement. The government needs to focus on building capacity and reduce time and cost overruns. Participatory Irrigation Management (PIM) has been highlighted as one of the possible solutions in the national water policy of 2002. PIM involves engagement of farmers and other end users in various aspects of planning, design, development and management of water schemes. The central government has managed to convince 15 states so far to adopt the PIM approach, and successful functioning has been reported by states like Maharashtra, Gujarat and Andhra Pradesh and Orissa. The battle to provide superior irrigation coverage to India’s farmers is going to be a long one. Sir, This is an important issue. The analysis above leaves much to be desired. You mention the number of project with % cost overruns but please dig deep to see if there are any trends by region/district, type of project, year of initiation. Please file RTIs or try to understand what can possibly cause 1000% overruns! Is there data available on number of projects started and completed in each year/Plan period? How does that relate to the very rapidly growing outlay in recent years? Where is the capacity to execute such a large number of projects? Are there ways to corroborate with number of contracts awarded, average project size etc? Perhaps the data isnt available to do such comprehensive analysis, but it would help the reader if you ask a few important questions but leave them unanswered–perhaps others can pick up these questions and try to estimate answers? Thank you for your mail. Our approach is to usually go layer by layer this is really the first round of analysis based on data we could find. And yes, we would go along the lines you are suggesting, a little slowly perhaps given limited resources. Your comment that the analysis leaves much to be desired suggests there is something wrong with it. Is that what you are saying ?